True Love, True Rest and True Peace! All people are wired for, and yearn for UNCONDITIONAL Love and Acceptance as they ARE; because we are made in the image and likeness of God. Every persons life quest is to find that unconditional love and acceptance, whether they know it or not, that is their pursuit. That is why I think social media has such popularity, we can be “liked” and portray an image of likability (real or not) leading many to try to become iFamous thus a sense of being loved and accepted. Many are falsely duped into religion which says “God loves you unconditionally” but then puts requirements on them in order to be accepted by God and the religious. Based on only a half truth. The half that is true is “God Loves you.” The “unconditionally” is removed from the declaration of God’s love when requirements of performance are placed on you to be pleasing and acceptable to God. Therefore many become disillusioned by religion and quit. Notice they quit religion cause they could not measure up to religions strict rules, they did not quit on God. Only when they find God’s true unconditional love and acceptance do they find true rest. His rest, cause He is pleased with and loves them just the way they are, NO conditions or requirements to fulfill, without any obligation. Only in this atmosphere is peace and rest. Only in grace plus nothing are we fulfilled and have no more need in a pursuit of being loved, or iFamous, because it was always there. This is THE foundation, His love; for God is love. therefore everything is based on and interpreted from this truth. When the debt is paid there is no obligation. Good news (gospel) He paid your debt, so enjoy you unconditional love and acceptance, receive His abundance of grace and gift of righteousness (innocence) and now you can reign in life! Now you can truly rest. Posted on May 26, 2014 Author EvanCategories Abundance of GraceLeave a comment on True Love, True Rest and True Peace! In the days we live in, there is much confusion about God’s will, and living life to its fullest. Many Christians think God has a defined plan for your life, like it or not you must live it even if it hurts. This is legalistic error. In this message, discover God’s grace perspective on living your dream. In the last 10 minutes I talk about the dream of a friend. The lifelong dream of a friend which was finally realized in the removal of the veil and discovery of God’s grace in his life. For more information on God’s will and if your in it, click on this link: How You Can Know What God’s Will Is, And If Your In It. 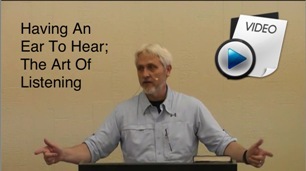 Having An Ear To Hear; The Art Of Listening. 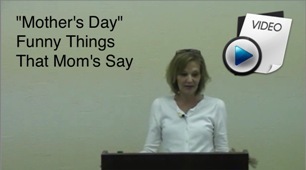 In Hebrews 5 Paul said,”I have a lot more to say about this, but it is hard to get it across to you since you’ve picked up this bad habit of not listening.” Sometimes our hearing is clouded with preconceived ideas from our past religious teaching. We have been made in the image and likeness of God, therefore the good news (gospel) catches our attention. 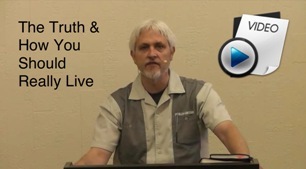 The fulfillment of scripture has a lot to do with they way we hear. In this message, lets start with the very foundation. This message will inspire you to new heights. Please feel free to share this message of freedom with others! Posted on May 19, 2014 October 26, 2016 Author EvanCategories Grace Audio/Video MessagesLeave a comment on Having An Ear To Hear; The Art Of Listening. 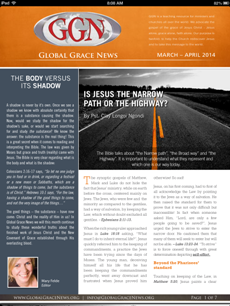 The March-April 2014 Global Grace News, newsletter has been posted. To view this edition, please click on the picture icon of the newsletter for the PDF version. 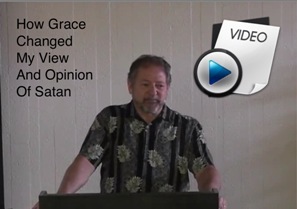 Enjoy some great grace articles in this newsletter by Clay Longoi Ngond and Peter Youngren. Check them out, You can also access Global Grace News by clicking here: Global Grace News You will be blessed! Grace and peace be multiplied to you! 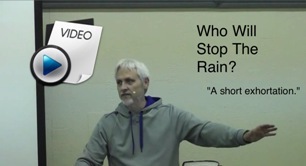 Join us for today’s message by Bill Ruhl. Listen in and you will be blessed at the impact grace has on our lives, and how we really begin to see everything through the finished work of the cross.